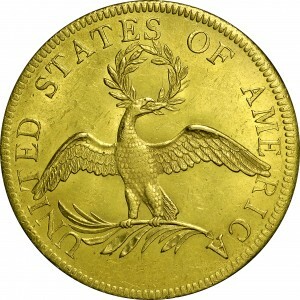 Early eagles were minted from 1795 through 1797 with the Small Eagle reverse design, and from 1797 through 1804 with a Heraldic Eagle reverse. Both designs were prepared by Robert Scot. 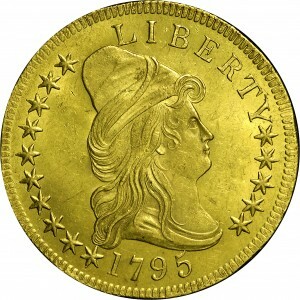 The example displayed is the most common die variety and is generally considered the first variety struck. This is one of several very nice Mint-State survivors. 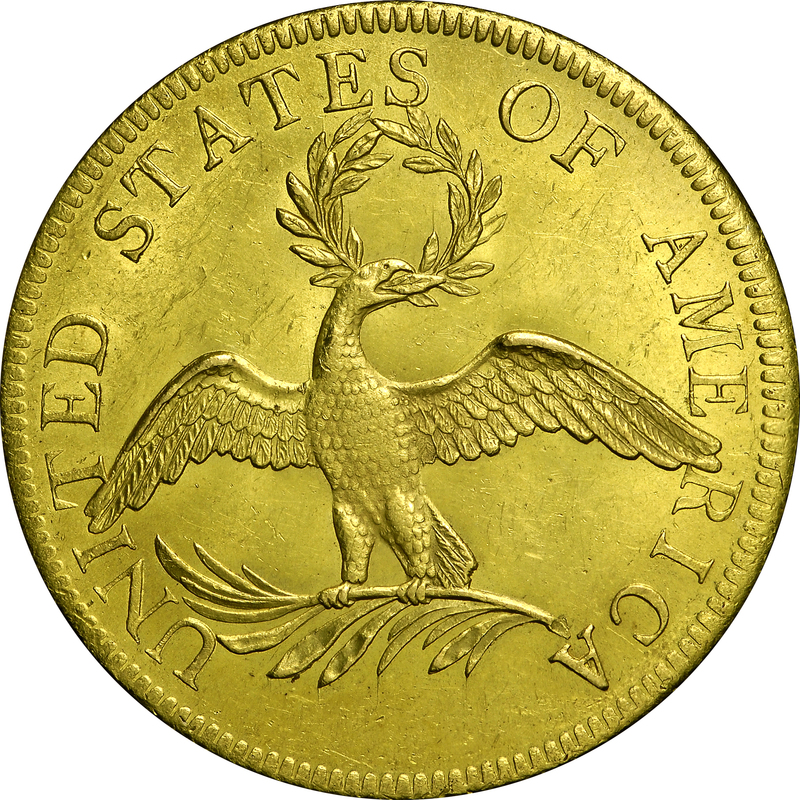 Among 1795 eagles, five die varieties are known with a total combined mintage of 5,583 coins. 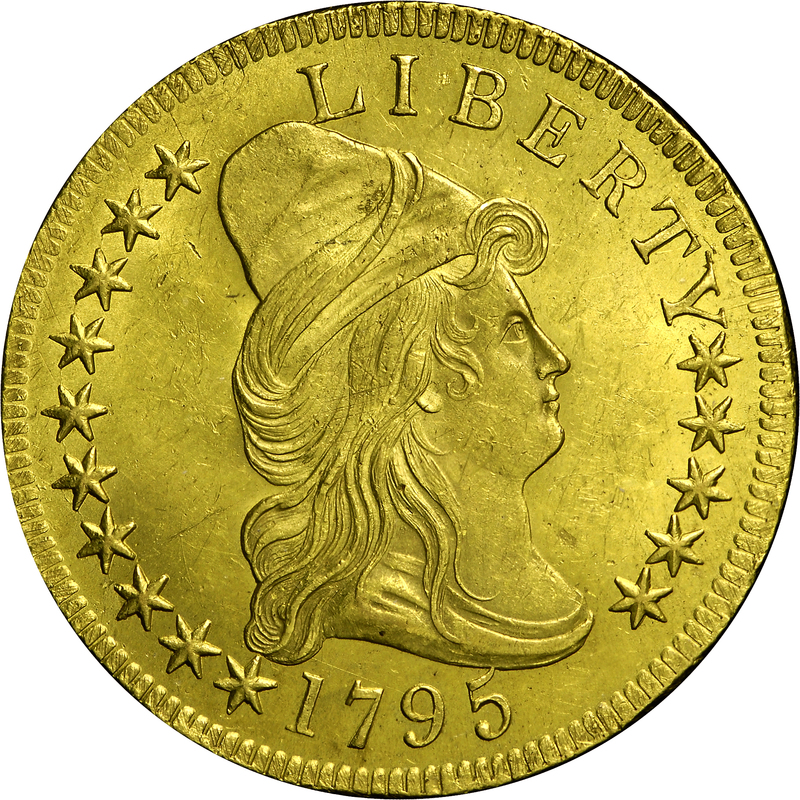 The first delivery of this denomination was dated September 22, 1795 with coinage of this date continuing through the first quarter of 1796. From Stack's sale of the Bartle Collection, October 1984, Lot 1118. "Obverse: Tip of 5 overlaps bust base. Two lumps at top left of Y. Reverse: Branch tip centered beneath A. R touches left wing. Palm leaf tip nearly touches U."